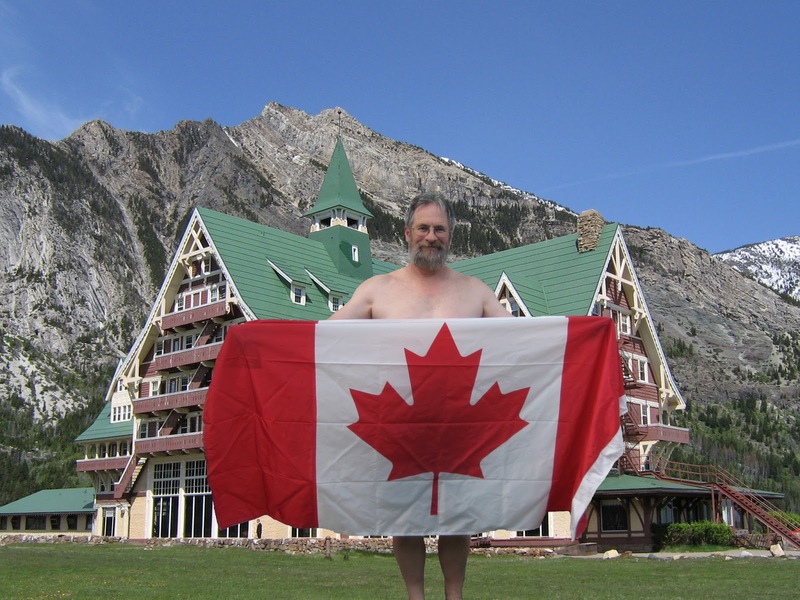 Canadians don’t tend to be flag wavers or beleivers of my country right or wrong. We tend to be polite although you would never know it if drive on the roads at rush hour. We do love our country, but don’t feel the need to shout it from the rooftops or keep telling the world how wonderful we are. Our country is rich in raw materials and magnificent natural wonders. Canada is in my opinion the best country in the world. Yes, all other countries are very nice as well, but what makes Canada special is that this is my home. Judging by the number of immigrants in the past twenty or thirty years, there are a lot of people who feel the same way around the world. Those people are willing to work hard to be Canadians and to bring their children up with unlimited possibilities. Canada has changed since I was young, but then almost everything has changed. We are becoming more like our cousins south of the border. That isn’t necessarily a bad thing, but it was when I was a teenager. We didn’t want anything to do with the US. Well, mainly with their politics, foreign policy and business practices. We did embrace their culture, but even that influence was kept down to a certain percentage with Canadian content legislation on our media. I don’t think the CRTC was that effective because on a recent trip to California, I felt that I had gone home. I knew the names of all the cities and towns, the street names, the houses were built and painted the same as ours at home. I had lived with all of these things for the last fifty years on TV and movies. In a way, Canada has had to struggle to keep its own identity separate from the US. I’m not sure that we have always been successful. In almost all careers, you know that you have reached the top when you get recognition in America. You also make a lot more money in the states. There is an odd situation that has developed, when you need another country to vindicate your success. The US has a vision of itself that shows caring thoughtful people, a community based country where neighbours and businesses put people first. They are proud of their accomplishments and help out others when needed. Everyone feels that they carry a little bit of Andy Taylor, Opie and Aunt Bee somewhere inside of them. Who doesn’t? America wants to be Canada, but they don’t know it. Canada is Mayberry, a little unsophisticated and awkward, but good natured and with a heart of gold. You notice that I describe Canada in terms from the US? We don’t really have a national identity, and frankly, I don’t want one. We are the country that all the other countries like and who doesn’t like to be liked. July 1st is the one day when we feel comfortable patting ourselves on the back. It’s a great country filled with great people. Our political leaders and business leaders want Canada to be a player on the world stage. I suppose it means more money and more prestige, but I also think it means we will lose a little of that magic that makes Canada special and not just one out of a hundred and ninety six.